experience in the auto industry. We know that busy professionals, families, a businesses have life priorities and want to save time and hassle. If your time is valuable and you want or need a vehicle, the First Choice team wants to get the legwork done for you! If you are ready to start, call now! During the fall of 2017 we were in need of a larger truck for our growing landscaping and maintenance company. While talking to one of our clients he mentioned that we should call Bernard at First Choice Automotive where he recently got his new commercial work van from. We contacted Bernard and discussed our needs which were very specific. Bernard searched the local market as well as the surrounding areas and located a truck. He also arranged for the specialty hydraulic dump box to be installed prior to us taking delivery. 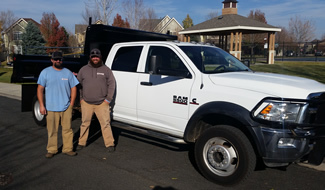 We wanted to finance the truck so Bernard arranged financing and got a very competitive loan through one of the many banks that work with First Choice Automotive. When everything was done Bernard personally drove our new truck to one of our work locations where we were working and delivered the truck to us. 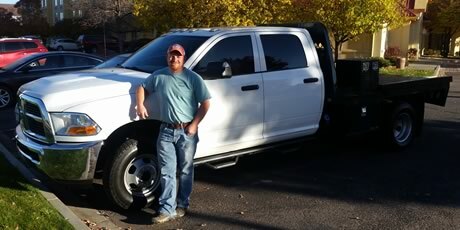 We not only got the truck we needed but the service was exceptional. We saved a lot of time and were able to keep on schedule with our clients because Bernard did all the leg work. We highly recommend First Choice Automotive. Being in the construction industry things have been very busy for me lately. My wife and I also became new parents recently and needed a new car to accommodate our growing family. Bernard with First Choice Automotive had helped my brother and his wife in a similar situation recently with their vehicle needs so I called him up to see what we could do? Bernard made things very easy for us by coming to our house and reviewing our needs. Once we determined a few options and choices Bernard brought the vehicles to my wife at our home so she could test drive them and not be away from our new born son. 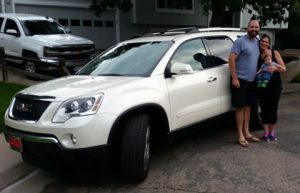 When we made our choice Bernard helped us with a very competitive loan program and delivered our new car along with the required paperwork to our house where we finalized everything right there. I was able to keep working in my business and my wife was able to continue with her new responsibilities while Bernard handled all the time consuming things for us. He truly made the process easy, comfortable, and efficient. We will definitely be calling Bernard at First Choice Automotive for our future vehicle needs along with telling our friends about the great service he provides. 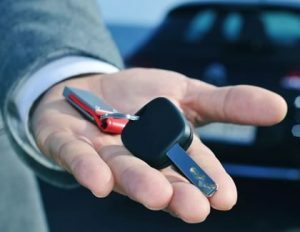 Why Buy From an Auto Broker? Busy Professionals who recognize that time is money and would prefer to have an expert handle the details for their auto purchase. Families who are busy working, taking care of their kids, and dread walking into a dealership or looking for used cars online and on lots. Business owners who need commercial vehicles. Don't have time to find the right vehicle? Let First Choice do the legwork. I call Bernard at First Choice Automotive. I contacted Bernard and we had an initial meeting where I communicated my needs to him. After some discussion Bernard made a few suggestions regarding the Van that would work best for me. Bernard brought three different commercial vans to my residence for me to review and I approved the one that I felt would work best for my business. During this time I was able to continue working and attending to my clients needs while Bernard did all the leg work. I also approved a very competitive loan program for my financing needs that Bernard offered through one of the many banks he works with. Since my initial commercial van purchase I have purchased a preowned SUV for my son as well as a one ton four wheel drive diesel from Bernard at First Choice Automotive. He truly makes the process easy, smooth, and professional. I highly recommend First Choice Automotive. Working with Bernard was a great experience from start to finish. He understood exactly what I needed and answered all my questions promptly and without hesitation no matter how trivial. His experience in the auto industry paired with his excellent customer service made for a smooth process when purchasing my car. 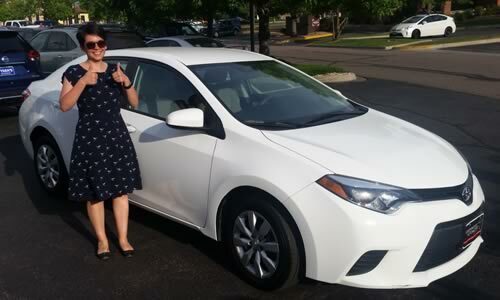 I would recommenced everyone use an auto broker and specifically, Bernard Alonso, with First Choice Automotive.